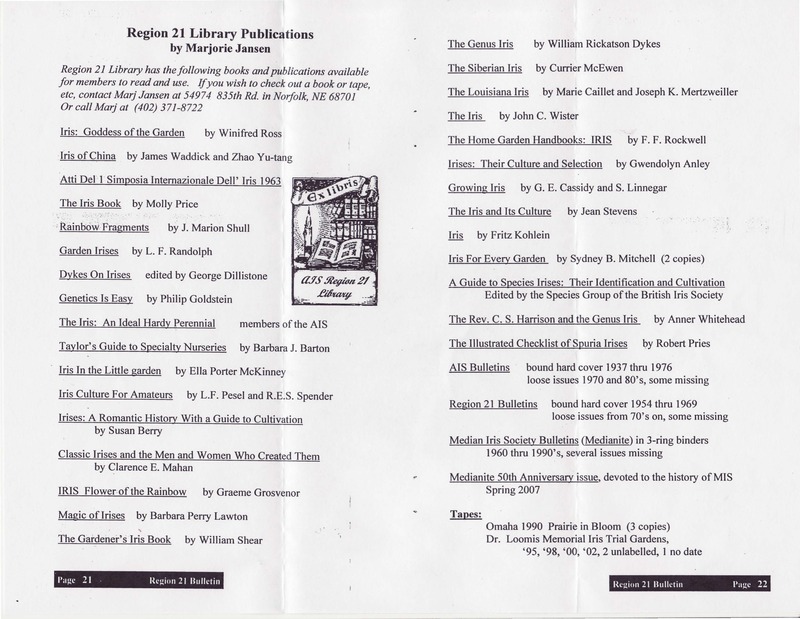 Note: The irises names link to their entries in the Iris Encyclopedia. The pictures there are not from this show. We will have some pictures from this show later. Note that the Region pays for the shipping of these items. 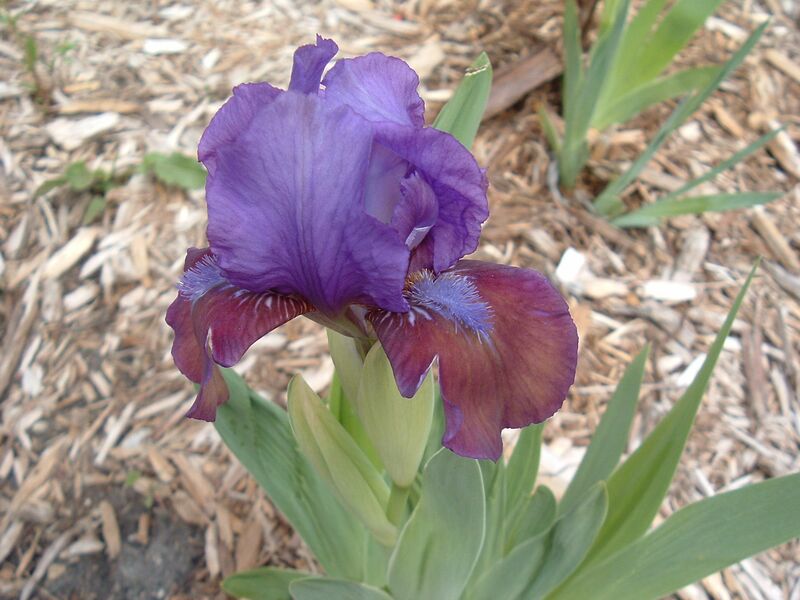 George Sutton, the founder of Sutton’s Iris Gardens and a prolific hybridizer, died May 29, 2013 at the age of 80. He registered hundreds of irises including some from most of the iris classes. Two of his Arilbred irises won the William Mohr Medal, ‘Ulalena’ in 2010, and ‘Shabaza’ in 2008. He and his late wife Margaret were instrumental in creating the Porterville Iris Festival. Obituaries can be found here and here. Our condolences to his family. A special open garden event for the Vic Seller’s Memorial Iris Garden located at Immanuel Village will be hosted by the garden curator, Ron Crampton. 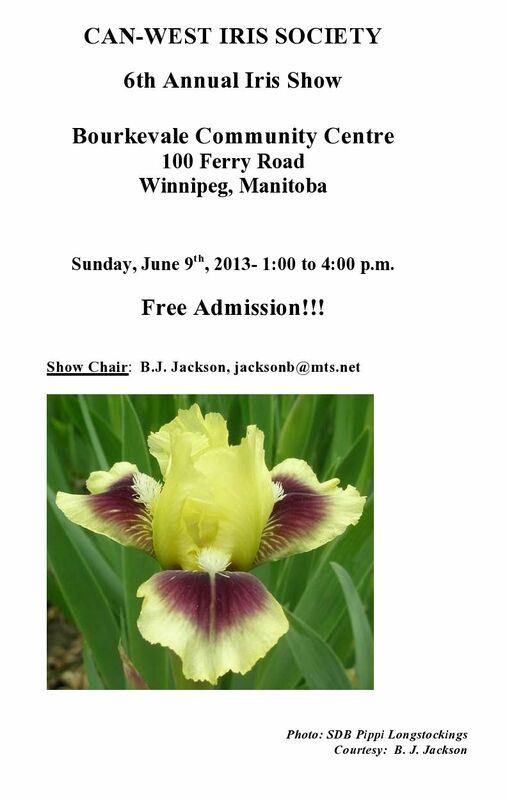 This special open garden event will be held Monday, June 3rd from 2:30 PM – 4:00 PM. Please contact Ron Crampton for details. Garden details from the Greater Omaha Iris Society website: Vic Sellers Iris Garden (all Tall Bearded Iris). Vic established this wonderful garden several years before his death. Ron Crampton maintains it in Vic’s memory.